Running a restaurant is a gargantuan task, and one that should not be taken lightly. You will need to manage a lot of people, and a lot of suppliers, including your equipment supplier. If you're equipment is broken, unreliable, or in need of a replacement but you can't get a hold of the supplier, that could mean shutting the restaurant doors, and shutting out your cash flow. 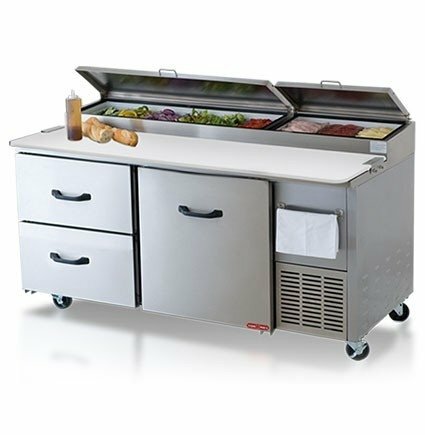 This means that finding a reliable restaurant equipment supply is absolutely essential in running a successful restaurant. Here are some tell-tale signs that your supplier is going to cause you problems in the long run. Late deliveries – Late deliveries are the first sign that you are working with an amateur. One or maybe even two if they have a good enough excuse, can be worked with, but if they are consistently letting you, and in turn, your customers down, you may need to reconsider working with this supplier. Customers don't like to hear that you are waiting on a delivery, it means nothing to them, but it should mean a lot to your business. Equipment not as advertised – If you order a brand new and shiny fridge, but it gets your back door and looks more like a rusted tin can, this should send alarm bells ringing in your mind. You should be getting exactly what you asked for, in the exact condition that it is described in. Any small discrepancies, means that you are dealing with a liar and a scammer, and they should be notified immediately that they have made a mistake. If they are not quick to correct it, kick them to the curb and get a new restaurant equipment supply going. Time is money, and you can't hang around wasting time. Difficult to contact/never gets back to you – Consistent communication is imperative for any business relationship. You should be able to quickly contact your supplier with any concerns or problems without any hassle. If you can never get your supplier on the phone, or if they consistently fail to get back to you, it means they are avoiding you, and that they don’t really want your patronage either. Broken equipment– This is obviously a big one. You can't run a restaurant on broken kitchen equipment. A restaurant equipment supply that is giving you faulty items, is one that you should get rid of immediately. If anything comes to you broken, and there is no reasonable excuse, apology, or immediate replacement, then you will need to start looking for a new supplier immediately. Don't let something like this slide, if it happens once and you don't say enough, it will happen again, and you will end up closing your kitchens doors, possibly for good. Keep your eyes peeled for any mistakes that any of your suppliers make, and if they don't handle your complaints as you would handle your customer complaints, you need to end that business relationship as soon as possible.